This week we are kicking off a new adventure in the TERM division by publishing a blog! We aim to provide more information to our customers about not just our company and products, but also interesting details about pests and insect exclusion. I’d like to start this series by talking a little bit about our company. Polyguard Products, Inc. was founded in 1953 in Oklahoma by Robert Nee and Frank McNulty. Polyguard moved to Ennis, Texas in 1978. John (current CEO) and Kathy Muncaster purchased Polyguard in 1986. In 1987, John and Kathy decided to allow the employees to directly benefit from their hard work by offering all of the employees an opportunity to be part of an Employee Stock Ownership Plan (ESOP). In December 2014, the company became 100% ESOP owned. Wow! Polyguard Products specializes in materials that protect surfaces and structures from moisture, water and other undesired substances. Polyguard is currently operating under three core divisions with a number of growing divisions under the Polyguard umbrella. 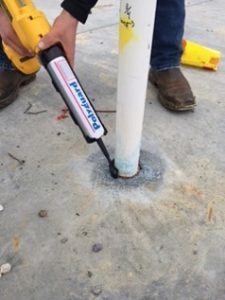 Think of Polyguard as an innovator and manufacturer of barriers – not just barriers against moisture and corrosion, but against contaminants like radioactive radon gas and methane. The TERM Barrier Systems Division of Polyguard Products specializes in developing sustainable pest barriers, without the use of pesticides. TERM means Termites, Energy, Radon & Moisture prevention in one building envelope solution. Good engineering minimizes building movement, but structures are not engineered to eliminate the miniscule openings created by construction and nature. Why not upgrade the building envelope to seal off almost all pest entry points and accommodate the small movements of the building components? Polyguard has manufactured building envelope materials for sealing out water, and for sealing in energy, since 1970. Now, we are upgrading our building envelope materials to exclude pests using three basic barrier materials. The concept of building to exclude pests starts with TERM Sealant Barrier. 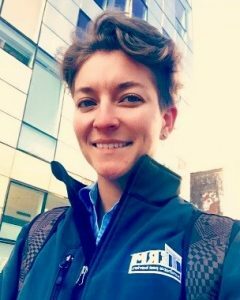 Not only will the TERM® Sealant Barrier serve as the waterproofing and air barrier, but testing at multiple universities have shown that it will also protect against the intrusion of termites. 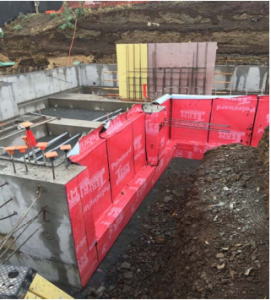 TERM® Sealant Barrier is elastomeric and can accommodate building movements while maintaining the barrier. There are eleven products in the TERM® Barrier System that incorporate sealant, including the TERM Membrane Barriers. TERM Micromesh screens are used in areas of the structure where venting and draining is necessary. Screens have been used worldwide for more than 25 years to exclude termites. Polyguard manufactures screens that are specifically sized to block, not only termites, but many other pests, as well. 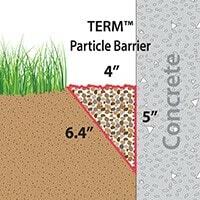 The TERM Particle Barrier is made up of a specifically-sized aggregate stone. When applied to the perimeter of a structure’s foundation and in the bath trap areas, termites are physically blocked from tunneling to the structure. TERM® Particle Barrier is not a new concept, as particle barriers have been used Australia, Hawaii, and other parts of the world for many years. However, Polyguard has developed a product that is available and effective in the United States against subterranean termites. By working with engineers and entomologists, Polyguard has created a particle barrier product of specific sizes, stone angularities, and packed interstitial space. The best part? All of TERM’s products are free of pesticides! This means that they are classified by the Environmental Protection Agency as devices. The TERM® Barrier System is the first non-pesticide overall pest protection for new construction and has options as a non-pesticide termite treatment for existing construction. I hope this introduction has given you a more in-depth look at what we do in Ennis, Texas. We have a fabulous team that goes above and beyond to complete projects. 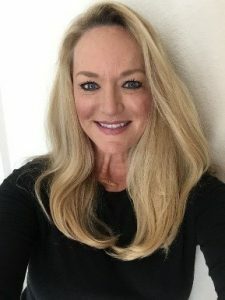 Jill Heidorf is our Sales Manager. Located in McKinney, Texas, and may be reached at jheidorf@polyguard.com. Holly Beard is our Technical Sales Associate located in Orlando, Florida. She may be reached at hbeard@polyguard.com. 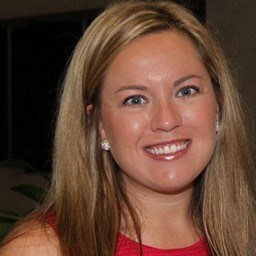 Of course, my name is Cassie Krejci, in College Station, Texas, and I can be reached at ckrejci@polyguard.com. Thanks for reading this week and we look forward to creating bi-monthly posts!